Transport World is embracing European dining by opening a pop-up oyster bar for the start of the oyster season. Transport World tourism operations manager Hannah Whyte said the pop-up oyster bar would be serving fresh oysters in the foyer of the museum until Sunday. On Tuesday it would open from 2pm to 6pm, and then from 11am until 2pm from Wednesday through to Sunday depending on oyster availability. 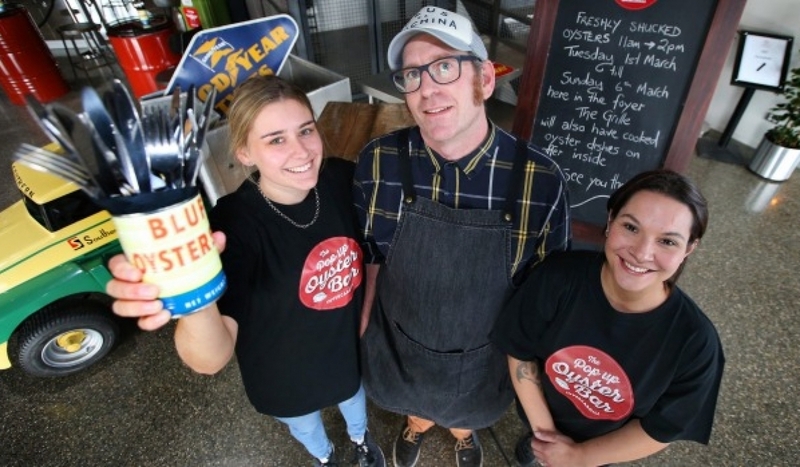 MASH catering owner and Grille Cafe chef Mat Jackson said an oyster bar was something he always wanted to do in Southland. In his travels around the world, Jackson said oyster bars were common in Europe, especially France, where people could enjoy freshly shucked oysters. With a number of tourist passing through the museum as well as Invercargill residents, Jackson wanted to give them all the opportunity to have a fresh oyster which was shucked right in front of them. While fresh oysters would be available at the pop up bar people could also buy cooked oysters from the Grille Cafe. There would be panko crumbed oysters, oysters Kilpatrick, oyster chowder and a few other oyster dishes that Jackson was keeping quiet about at this point. The phone at Barnes Oysters has been ringing constantly with people putting in their orders for the start of the season, manager Graeme Wright said. Demand was as crazy as every for the delicacy, Wright said. Speaking on Monday, Barnes said the weather was not looking good for an early start with high winds. The harvest quota for the season was set at 10 million, the same as last year, which would be reviewed later in the season based on feedback from fishermen, Barnes said. At the end of March the fishermen would meet to discuss the outlook for the season based on how the first month had gone, he said. The preseason survey had not raised any issues and things were looking reasonably positive, Barnes said.